On Saturday June 14, approximately 5,000 people were gathered in one of the largest Seventh-day Adventist Church in Kigali, Rwanda to hear IRLA Secretary General Dr. John Graz's presentation on the State of Religious Freedom in the World. Dr. Graz was with IRLA East Africa Secretary General Pastor Elkhana Kerosi for a three day visit in Rwanda. They were hosted by the President of the Adventist Church and other Adventist leaders who represent 600,000 baptized members. The visit included several humanitarian and education institutions and the Genocide Memorial. It was the first visit of the IRLA Secretary General to Rwanda who expressed his admiration for the dynamism and the quality of life in the capital city. Religious freedom has not been threatened in Rwanda where religious pluralism is accepted and supported by the authorities. 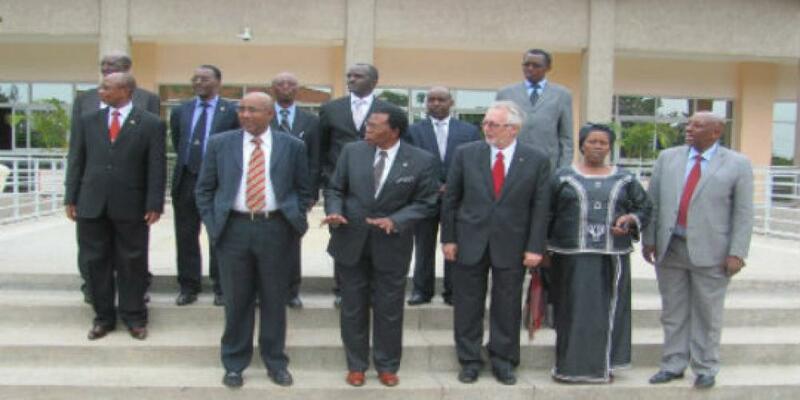 The purpose of the visit was to study the possibility to hold a large event in Kigali in the future. IRLA East Africa Secretary General Kerosi proposed to hold the third Pan African Congress in Kigali in 2018. In a meeting with religious leaders Dr. Graz invited them to hold a large festival following the congress. This invitation received strong support. According to the religious leaders contacted, a crowd of more than 40,000 could attend such a meeting. All religions will be represented and members of the government and Ambassadors are expected to attend. Dr. Graz said that Rwanda has built a very good infrastructure which would make such a big event possible. Celebrating religious freedom for all will be an important contribution to peace, unity and freedom in a country which survived to a terrible genocide.